Kasey Keller - ESPN Press Room U.S.
Kasey Keller, former U.S. Men’s National Team goalkeeper and three-time U.S. Soccer Athlete of the Year, joined ESPN as a soccer analyst in February 2012. 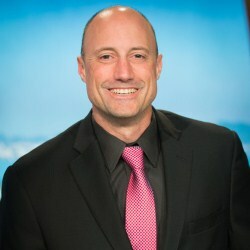 Keller serves as a studio analyst for select MLS and U.S. Men’s National Team matches, as well as international events such as the UEFA European Football Championship. He made his big-event debut with ESPN serving as a match and studio analyst for ESPN’s coverage of the UEFA European Football Championship 2012. Since then, Keller worked as a studio and match analyst for ESPN during the 2013 FIFA Confederations Cup and 2014 FIFA World Cup – both events held in Brazil. He is also a studio analyst for ESPN’s presentation of the MLS Cup. Keller holds the record as the most-capped goalkeeper in the U.S. Men’s National Team with 102 appearances – starting two of three matches in the 1998 FIFA World Cup in France and starting all matches in the 2006 FIFA World Cup in Germany, including a 1-1 tie versus Italy. He was a member of the U.S. Men’s National Team that reached the quarterfinals in the 2002 FIFA World Cup, the most-successful run by a U.S. senior team in a modern FIFA World Cup. He is also one of the team’s all-time leaders in wins and not conceding goals. Keller was on the U.S. Men’s National Team roster for the 1990 FIFA World Cup, in a back-up role to first team keeper Tony Meola. In 1992, Keller signed a contract and played for Millwall F.C. through 1996 when he moved to Leicester City F.C. (1996-99). He also played for Rayo Vallecano in Spain’s La Liga (1999-2001), Tottenham Hotspur (2001-05), Borussia Mönchengladbach in Germany’s Bundesliga (2005-07), Fulham (2007-08), before returning to the United States to play for the Major League Soccer expansion Sounders (2009-11). He retired from professional soccer in 2011 after three seasons with the Sounders. In all, he played 609 matches in four countries in his professional career. A native of Olympia, Wash., Keller began his goalkeeping career in 1989 with the Portland Timbers of the Western Soccer Alliance while still a student at the University of Portland. That same year, he split time between the Timbers and the U.S. U-20 Men’s National Team, which finished fourth in the 1989 FIFA U-20 World Cup in Saudi Arabia. Keller was awarded the tournament’s silver ball as the competition’s second best player. As a college senior in 1991, he earned first team All-America honors and was named the 1991 Adidas Goalkeeper of the Year.